Propylene glycol (PG) is a synthetic liquid substance that absorbs water. You are actually likely to intake propylene glycol on a daily basis without even knowing, as it is found in many foods that are considered safe for day to day consumption. PG is clear, colourless and a slightly syrupy liquid at room temperature. It may also exist in the air, in vapour form, although it needs to be heated to produce vapour. When the vapour is produced, PG is practically odourless and tasteless, which it is why it is used in E- Cigarettes. How does Propylene Glycol affect you? Propylene glycol can enter your bloodstream if you breathe air containing mists or vapours from this compound. It can also enter your bloodstream through your skin if you come in direct contact with it and do not wash it off. If you eat products that contain propylene glycol, it may also enter your bloodstream. Exposure of the general population to propylene glycol is likely since many foods, drugs, and cosmetics contain it. Can I test for Propylene Glycol? Propylene glycol is generally considered to be a safe chemical and is not routinely tested for, unless specific exposure, such as from a medicine or cosmetic product. Since PG breaks down very quickly in the body, it is very difficult to detect. The evidence and studies on PG appear to be encouraging, with regular studies on PG since the 1940s. Many of these studies are untaken with the use of animals, who seem to tolerate it well. In one study animals inhaled saturated PG vapour for between 12 and 18 months and when their organs were examined, there was no apparent effect of the PG. A detailed look at their lungs found no sign of irritation of breathing the vapour. Furthermore, the effects seen so far in vapers and humans exposed in other situations are mild. In short, the risk isn’t likely to be particularly big, and is much healthier than smoke from regular cigarettes. But of course inhaling anything, other than oxygen, in large amounts could eventually have some side effects, but the evidence behind PG is strong and has been even used in some formulations to treat lung diseases and inhalable medicines. 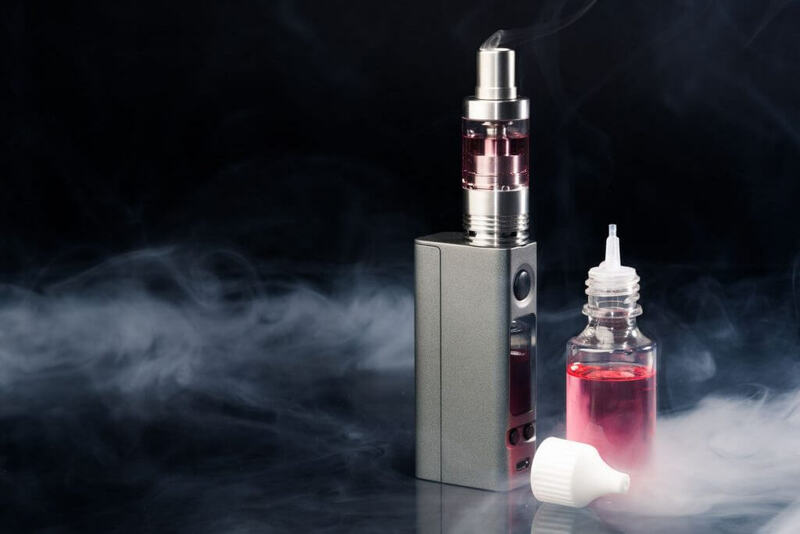 The government has developed regulations and guidelines for PG e liquids within the Tobacco Product Directive which are designed to protect the public from potential adverse health effects. The Food and Drug Administration (FDA) has classified propylene glycol as “generally recognised as safe,” which means that it is acceptable for use in flavourings, drugs, and cosmetics, and as a food additive. As well as approval from the FDA, The World Health Organisation, an acceptable amount of dietary intake of PG is 25mg for every 1kg of body weight.